In order to use PushMetrics with Tableau, you have to create a connection first. PushMetrics imports meta data (Thumbnails, Workbook Name, View Name, etc.) 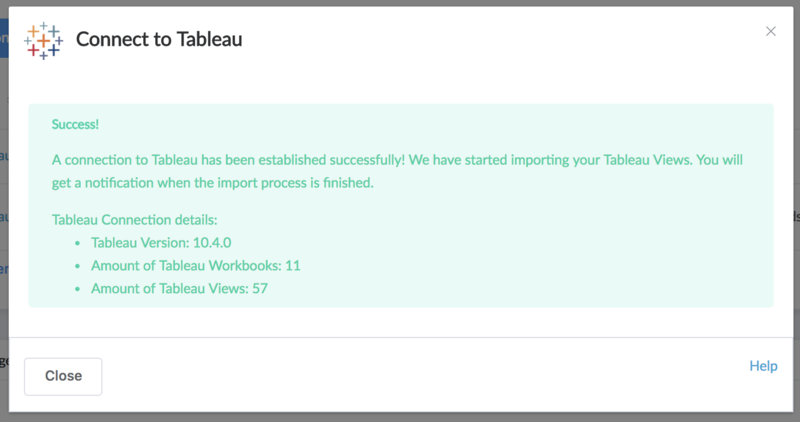 for all workbooks and views available to the Tableau user account that you use to connect. Your Tableau Server must be accessible to PushMetrics. For Tableau Online this is always the case. For Tableau Server this is the case if your Server is openly accessible on the internet. If your Tableau Server is only accessible inside your company network, please read on here. In PushMetrics, go to Settings and click on "+ New Connection". 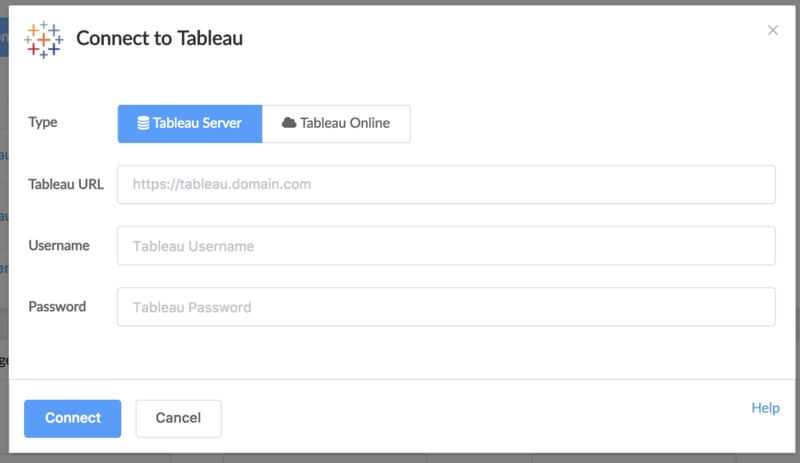 For Tableau Server, enter your Tableau URL like it appears if you open Tableau in the browser. It usually looks like https://tableau.yourdomain.com. Enter username and password of the Tableau user account that you want to use. Note that only the workbooks and views available to that particular user will be available in PushMetrics. PushMetrics will be synchronising the workbook and view information every 24 hours to account for new created or deleted files on your Tableau server. Private lets only you and administrator users access the contents of the connection.